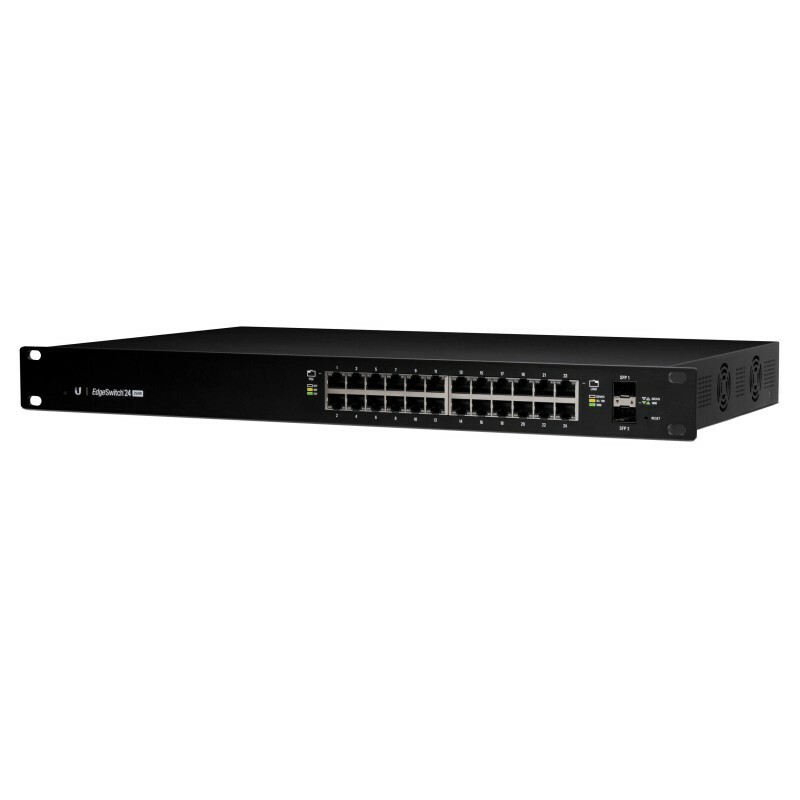 The Ubiquiti EdgeSwitch 24 Port 250W Layer 3 Managed PoE Switch delivers the forwarding capacity to simultaneously process traffic on all ports at line rate without any packet loss, with total non-blocking throughput of up to 26 Gbps. An extensive suite of advanced Layer-2 switching features and protocols, and Layer-3 routing capability makes the EdgeSwitch ready for a wide variety of enterprise class uses. There are also two SFP ports supporting uplinks of up to 1 Gbps (Compatible SFP Module required). The Ubiquiti EdgeSwitch has 24 Gigabit Ethernet ports of auto-sensing IEEE 802.3af/at or configurable 24V Passive PoE. By default, the EdgeSwitch automatically detects 802.3af/at devices so they automatically receive PoE. For 24V Passive PoE devices, it is possible to manually enable 24V passive PoE using the EdgeSwitch Configuration Interface. 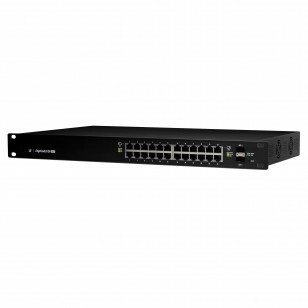 This EdgeSwitch comes with 24 gigabit 802.3af/at active / passive PoE Ethernet Ports with a total of 250W available.